When I said that we needed “a Give Directly option” in Houston I didn’t think that GiveDirectly themselves would do it: they’re an organization devoted to fighting extreme poverty in East Africa. But it turns out that the folks at GiveDirectly are nimble enough to see and grasp an opportunity when they see it, and they’re down in the Houston area now. 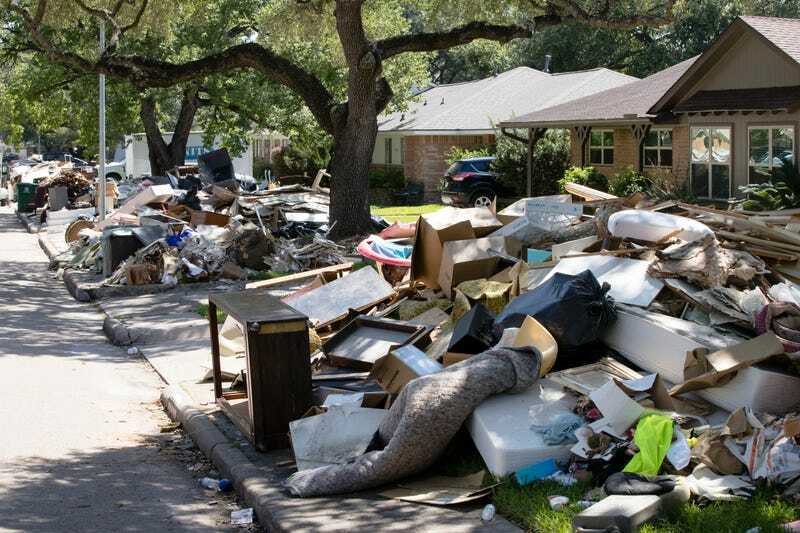 The prepaid debit cards have been ordered, and a starting point has been found: a town about 90 minutes east of Houston, utterly devastated by Harvey, which is small and poor enough that it makes sense to just give every person in the town about $1,500. The big prize, however, is sitting in large pools of money that have already been donated. JJ Watt alone raised some $37 million for disaster relief, and it makes eminent sense that some if not all of that money should simply be given out as cash. That wasn’t possible until now, but if I was Watts, I’d be looking very closely at what GiveDirectly is doing, and asking myself hard questions about whether anything else I could do with the money would be as effective. The good news is that generous people around the world have donated tens of millions of dollars. The bad news is most everything else: The money must be converted to goods, which have to be organized, transported, handed out… and then what people get may not be what they really needed. It may not even be clear to donors (or anyone else) how all that money got spent. Our crazy idea is this: Rather than guess what people need most, why not find those who have been hit hardest, give them the money and let them decide for themselves? It’s worth being very honest up-front about the fact that this kind of disaster relief has not been tried before in the USA, and no one knows exactly how successful it will be. The Red Cross has tried to give $400 per household to 100,000 households in 39 Texas counties; that effort hasn’t exactly gone smoothly. If this doesn’t work very well, then GiveDirectly can go back to doing work which is truly effective, and the community of people interested in unconditional cash transfers will have learned something important, and a few hundred very poor families will have been given money. That’s the downside! The upside is that we might have found a kind of disaster relief which is much more effective than almost anything that existing charities can deliver, and which, to boot, can be scaled much more quickly and easily. So, if you have cash, think about funding this very good experiment. And if you know someone sitting on money which was given to help the victims of Hurricane Harvey, point them to GiveDirectly. In the overall scheme of things, money given to GiveDirectly in Kenya will do more good than money given to GiveDirectly in Texas. But if there’s a pool of money which has to be spent in Texas, then spending it on GiveDirectly makes all the sense in the world.